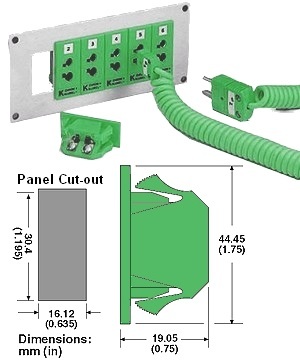 Thermocouple compatible sockets for various thermocouple types in IEC colours. The terminals and contacts are made from material suitable for the thermocouple type. 23.8 mm (0.94") Centers Row to Row Minimum.